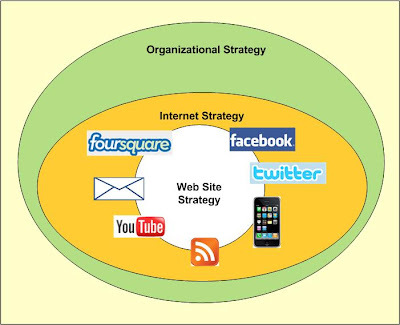 It is often said that the web site strategy is derived from the organizational strategy. But what about this social media thingy, Facebook, Twitter and what not? In the year 2000, the Internet was relatively simple. It offered email and web sites. These times are over. 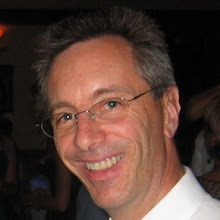 Since then appeared blogs, Twitter, Facebook, mobile devices, photo and video services and many more. The web site is still at the heart of the Internet strategy but it is complemented by all these peripheral services. As you can see, the web site strategy is not something that can be done in a vacuum. To be really profitable, the web site must be part of the team, not just the Internet team but the entire organisation. Before closing this article, I want to reiterate that the web site is the central component of the Internet strategy. That role should never be left to Facebook or another public service. The reason is simple. Your Internet presence must not depend on another organization. You must have and must keep complete control over the heart of your Internet strategy. What will you do the day Facebook changes the rules, as they often do? You may also be interested in this article: Web Site Strategy - What is That?